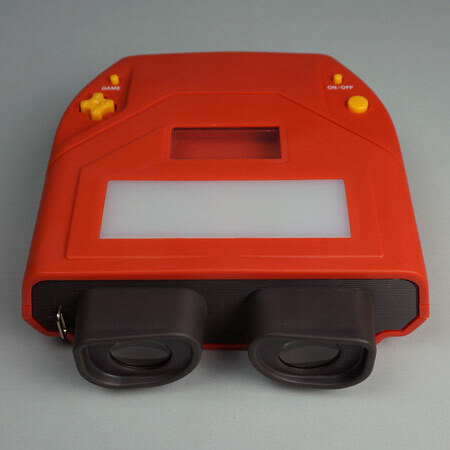 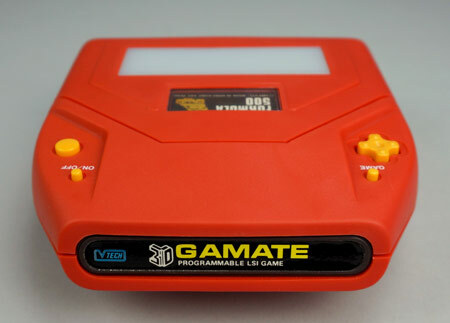 Unique 3-D game with cartridges by VTL/V-TECH. 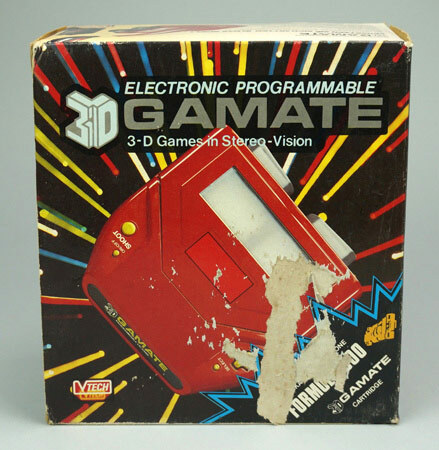 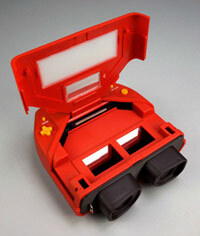 Of course it looks a lot like the TOMY 3-D games, but this comes with removable games. 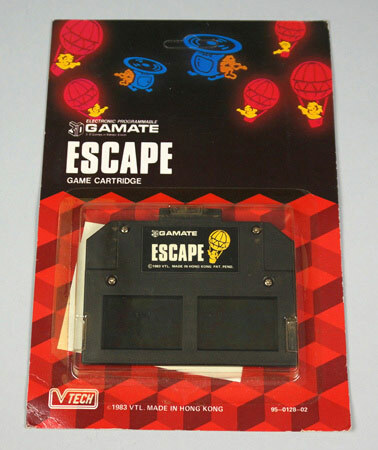 At least 3 games were released: Formula 500 (80-0551), Death Corridor (80-0550) and Escape (80-0857). 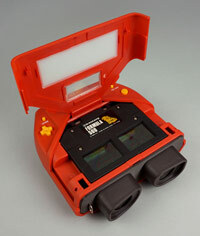 Formula 500 was included with the system. 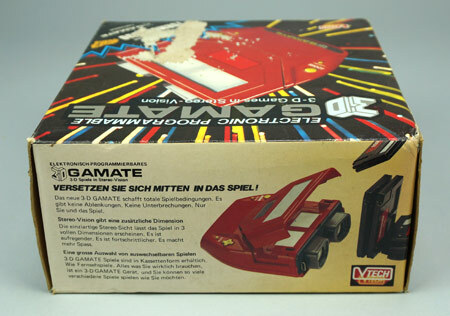 On the box there are 3 more games, but they were probably never released: Viking Invasion (80-0558), Bonk (80-0559) and Flying Saucers (80-0560).